Although he started his career playing the heavy, Humphrey Bogart is widely known as the leading man from Casablanca and To Have or Have Not or the gumshoe detective in The Big Sleep and The Maltese Falcon. One of the keys to Bogart's success was his ability to convey vulnerability and even a bit of darkness beneath the confident exterior. Some of his most interesting performances have drifted into nastier territory, particularly his scenery-chewing part as Dobbs in The Treasure of the Sierra Madre. 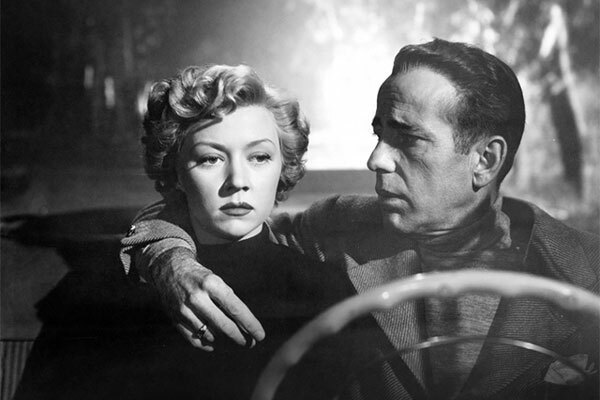 For this Readers' Choice Marathon, my brother Dave suggested that I check out Bogart in Nicolas Ray's noirish drama In a Lonely Place. This 1950 release is one of Ray's early pictures and remains one of his signature works. I'm sad to admit that I've never seen a Ray film, so this also is my introduction to his work. Dave is a movie and music expert who contributes regularly to PopMatters. You should also check out his website, Erasing Clouds, which includes smart and well-written articles on a variety of topics. Let's check out the questions and see if Dave's recommendation worked for me! Dixon Steele (Humphrey Bogart) is a Hollywood screenwriter whose best days are likely behind him. He's a grumpy, violent guy who's willing to fight anyone who wrongs him. One night, he brings home a hat-check girl, Mildred Atkinson (Martha Stewart) to help with adapting a novel. When she turns up dead the next day, Dix is the prime suspect. He strikes up a relationship with his attractive neighbor Laurel Gray (Gloria Grahame) that seems promising. She helped him avoid prosecution with a key alibi, but she starts to wonder if he might not be so innocent after all. Dix can be a mean guy, and his deterioration only increases as the police continue to hound him about the killing. What are the major themes, and how do they connect to the key issues of that time? In a Lonely Place sets up a standard detective story, but that's only the framework for depicting well-meaning but nasty individual. Adapted from the 1947 Dorothy Hughes novel, this film isn't really concerned with any real mystery. We barely see any other suspects in Mildred's killing, so the entire question hinges on whether Dix is the murderer. Even that fact isn't really that important in the ultimate resolution. Dix's anger at every slight can set him off against anyone, even his long-time agent Mel Lippman (Art Smith). His growing fury is the true focus of the movie, particularly when it affects his relationship with Laurel. Although it falls under the confines of the Hays Code, their connection feels surprisingly modern. There's plenty of implied material that's easy to understand even if it isn't shown directly. While I wouldn't call each character fully drawn, the actors make the pulpy material work. Bogart brings serious menace to Dix once his anger starts rising. He's basically the Incredible Hulk and has little control over his actions. Laurel might be able to cool him down, but even she has limited powers against his primordial force. This is one of Bogart's strongest performances and brings out the ugliness that's only hinted at in other films. Although he doesn't fall into the pure insanity of Dobbs, the role falls into a similar ballpark. Gloria Grahame does solid work as his love interest and looks striking, but she doesn't get us truly invested in their relationship. The issue falls more with the way her character is written than her acting. Even so, the impact of her final moments with Dix remains very effective. There are plenty of interesting scenes as the story unfolds, especially when Dix starts losing control. Two stand out as particularly intense and raise questions about his innocence. The first occurs during a dinner with his cop friend Brub Nicolai (Frank Lovejoy) and his wife Sylvia (Jeff Donnell). When they start discussing the murder, Dix actually gets the couple to play act how it occurred. 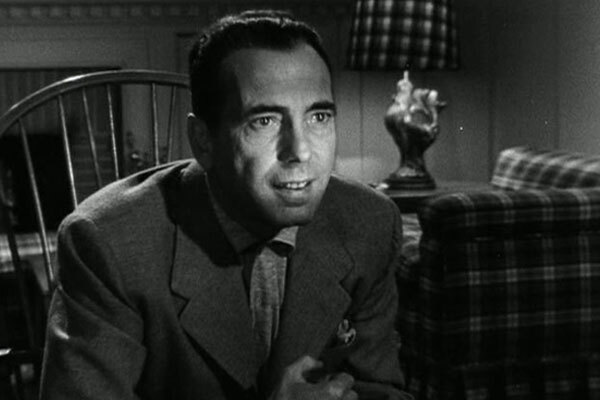 Watching Bogart's crazed expressions during this sequence make us realize that he's nuts even if he didn't kill Mildred. This suspicion is only confirmed when he gets in a traffic scuffle with a young jock. Dix beats the hell out of the guy and is ready to end his existence with a large rock before Laurel intervenes. Few actors can take the insanity to that level and still deliver a believable performance. This is the type of role that De Niro or Pacino would have loved during their heyday. How’s the direction? Is there an original vision? I'm unfamiliar with Ray's career, so I can't say how this film relates to his overall approach to film making. Regardless, this is a stunning film that lives in the noirish world but doesn't feel stuck within the formula. Ray includes all the stock characters (the mysterious girl, the skeptical police captain) but doesn't feel like he's just treading into the typical material. He isn't afraid to show the ugly side of Dix while offering us glimpses at the guy he once was. The atmosphere of growing suspense is developed well and doesn't feel over the top when the chaos begins. We can sense early on that Dix and Laurel are doomed, but Ray still conveys the tragedy of their final encounter. Dix is too stubborn to relax and enjoy success. Would I recommend this film to another friend? There's no doubt that In a Lonely Place deserves more attention from film lovers. I'd heard little prior to watching it, which is surprising considering the talent involved. It's a dour affair that might be tough for viewers looking for a more standard genre film. Ray and Bogart use this set-up for a character study of a disturbed guy. If you don't have an aversion to old movies or black and white, there's little that would keep me from recommending it. I'm thrilled that Dave suggested it since it wasn't even on my radar as a must-see film. 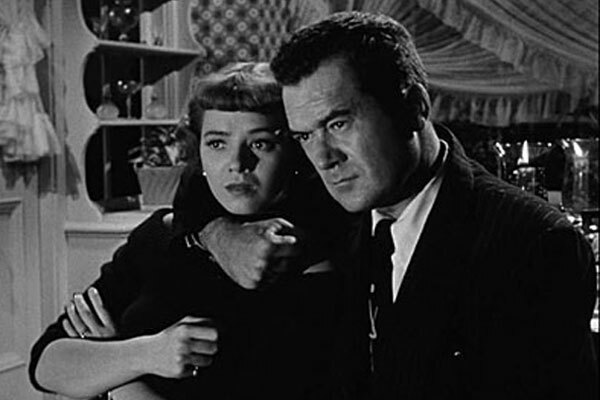 This is one of my favorite noirs. It's also one of the bleakest, which I dig. Dave, this is definitely a bleak film, and it totally works. I never got the feeling that Dix and Laurel would have a happy ending, but that fits with the sad tone of the entire thing. 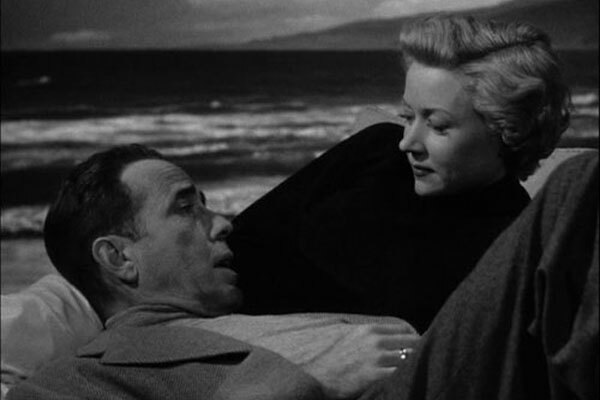 In a Lonely Place is one of my favorite films of all time, let alone noirs. I actually like that it kind of straddles the line between noir and romantic melodrama, taking elements of both while fitting comfortably in neither. It actually has a very healthy reputation among classic movie fans, especially film noir buffs, but it does baffle me how it hasn't managed to get more mainstream recognition than it has. Might be because of the bleakness, but then again, Sunset Boulevard is pretty damn bleak, and everyone knows about that film. To me, In a Lonely Place deserves to be as well-known as Sunset Boulevard. 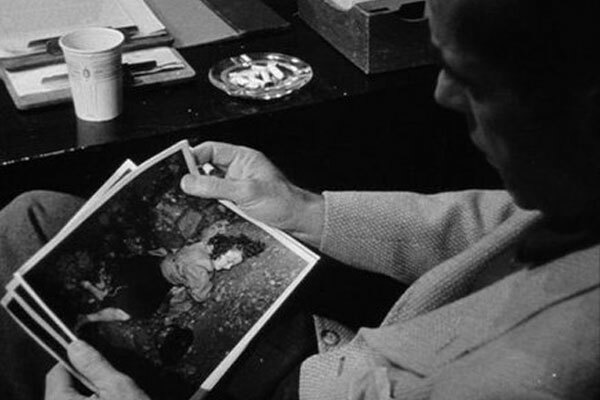 Jandy, I think In a Lonely Place holds up better than Sunset Boulevard, though both are great films. It throws some viewers for a loop because they're expecting a Bogart detective story like The Big Sleep or The Maltese Falcon and get something else entirely. It was off-putting for me, but that's one of the reasons that I enjoyed it so much. You're right about the combination of genres, which makes it more interesting but might explain why it doesn't have the same reputation. It's hard to say for sure. Oh, I love Sunset Boulevard to bits. I'd hate to choose between them, frankly. Both are five star films for me. 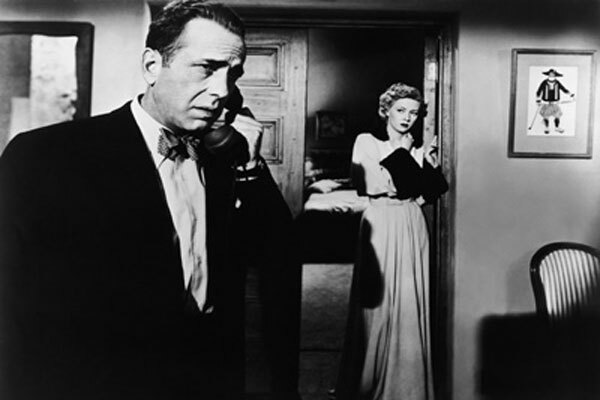 But I might have a just a teensy bit more sentimental bias toward In a Lonely Place, just because I kind of discovered it on my own, rather than had fifty years worth of people saying it was a great film, you know? Now I know lots of other people who love In a Lonely Place, but it still feels kinda like it's mine. I see what you mean about the difference in discovering a movie versus having one show up on lots of "best of all-time" lists. I think Sunset Boulevard is more recognizable due to a few particular scenes and Gloria Swanson's over-the-top performance. It also has the clever dead narrator device. Like you say, both are tough to categorize, and I think it's harder to sell In a Lonely Place because Bogart is so nasty. Many still think of him as a good guy, or at least a detective who's trying to do the right thing.